Just a five-minute stroll from the powder-soft beaches of Playa de Fañabe, Labranda Isla Bonita Hotel is a firm family favourite, located in the luxurious resort area of Costa Adeje in Tenerife. If you’re looking for a fun-filled holiday where you can stay right next to the beach, the Labranda Isla Bonita Hotel is a great choice. From stylish, spacious rooms featuring all the mod-cons to wonderful buffet and a la carte restaurants serving Canarian and international fare, Labranda Isla Bonita Hotel ticks all the boxes. The hotel boasts four outdoor pools, an indoor sports arena, kids’ club, children’s playground, tennis court, sports hall, gym and loads of entertainment options for all ages. 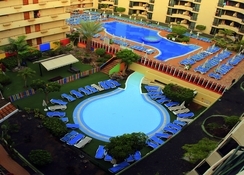 Labranda Isla Bonita Hotel is situated in the upmarket Playa de Fañabe area in Tenerife’s Costa Adeje. It is within walking distance from the Playa de Fañabe beach (400 metres) and the promenade consisting of restaurants, bars and shops. The neighbouring Playa del Duque beach is just 1.6km away. 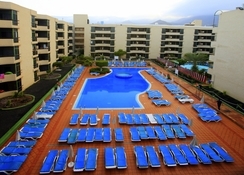 The hotel is also close to Tenerife’s other popular resorts of Playa de las Americas and Los Cristianos. If you’re travelling with kids, you can visit the world renowned Siam Water Park around 10 minutes' drive away. A total of 438 rooms spread over six floors are housed in two buildings in the hotel. Categorised into standard double and superior double, the rooms here are modern and air conditioned, complete with an en-suite bathroom and a balcony or terrace. As well as twin beds, there are sofa beds in the living area for added practicality. Other amenities in the rooms include satellite TV, telephone, shower, hair dryer, safety deposit box and free Wi-Fi. Labranda Isla Bonita Hotel Costa Adeje is home to two restaurants. The main buffet restaurant serves Canarian and international cuisines, while the other dishes up a la carte options and feature a barbecue grill. The latter needs to be booked in advance. 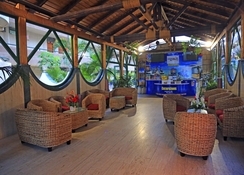 There are also two pool bars and a terrace bar that offer a variety of alcoholic and soft drinks. Young guests at the hotel can get ice creams throughout the day. Guests under the all-inclusive scheme can enjoy drinks till 11pm. 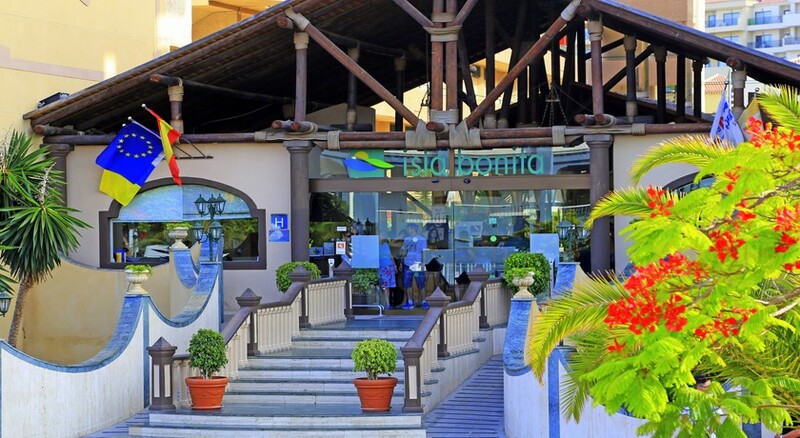 There are plenty of leisure and entertainment options at Labranda Isla Bonita Hotel. While grown-ups get two outdoor swimming pools (heated during winter) with free sun beds, parasols and bath towels where they can unwind all day long, there are two separate pools for children where they can play safely in the water. Other facilities for kids include a playground, play room and a kids’ club, get a rejuvenating massage, lounge at the sun terrace or unwind at the separate naturist zone on the roof top. 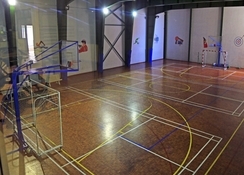 There is a fitness centre and an indoor sports arena where you can play basketball, tennis, pool, darts, volleyball, table tennis and football. 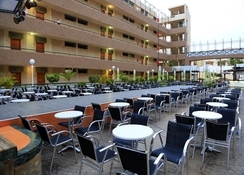 The hotel also organises daytime and evening entertainment and live shows. Had a great time as always at this hotel. They have a great atmosphere. It does need a little refresh in the rooms but I'm not fussy enough for it to bother me. We were very pleased with our accommodation at this hotel, we found the staff very helpful and excelent value for money. I thought that the hotel offered value for money on all aspects. Ideally situated and within easy reach of shops, restaurants and the beach. Night time Enterainment was very good and I would definitely recommend it to anyone. My family and I are going to return in the summer. We stayed at Isla Bonita in July 17. Our first impressions of the hotel was so nice from entering reception, although it took ages for the staff on reception to get through the line of those seeking assistance or checking in. I had contacted the hotel prior to our arrival seeking a room close to the amenities (pool, dining room, bar), as my wife cannot walk long distances, and they gave us a room that was close to everything. Unfortunatly the room we got was nothing like the rooms shown on there website, very dated, clean, and the air conditioning worked perfectly, keeping the room as cool or warm as you needed. We were all-inclusive, and as such the room had no tea/coffee facilities, so after the bar closed you couldnt get a cuppa, although there are vending machines around the hotel. The rooms need updating badly, the beds are like rock, not the standard you'd expect in todays holiday market. The hotel has lots going on all day, lots to entertain everyone. The bars are understaffed, and night time you have to get used to the ritual of standing in a long queue most of the night, drinks are the usual cheapest spirits and beers, with the all-inclusive (unless you pay for the premium brands). The meals can be really hit and miss, some days the quality is ok, but other times it can be quite bland. and they use pasturised egg for the morning scrambled, if you choose to eat it make sure it doesnt look waxy in texture, i had a serious hangover one morning and didnt notice till id eaten half of my plate, and was ill all day. The evenings are where this hotel stands out, fantastic entertainment staff that love to put on a show, with the addition of external acts make it a great family holiday spot. The hotel is not far from the beach, 10 minute walk, and the food shops are nicely priced, where 1euro pints are sold in most bars. Overall we really loved our time at this hotel, if they modernized the rooms to a better level of comfort it would make the holiday better. We would think about returning to this hotel, should we go back to that area. It was a brilliant Hoilday entertainment was really good, staff was helpful.